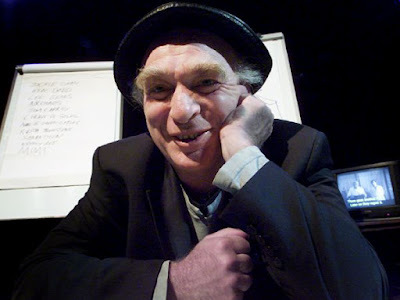 Want to hear"Ken Campbell's Letter to Robert Anton Wilson"? "Very excited to announce that myself and David Bramwell have been plundering the archive and have managed to piece together audio recordings of almost all of Ken Campbell's extraordinary monologues. "If you enjoyed Pigspurt's Daughter, you'll love these. "Four of the twelve episodes are being broadcast on Resonance FM over four Tuesdays (4pm) starting on January 29th, which is when the podcast series will become available on iTunes. "First up: 'Ken Campbell's Letter to Robert Anton Wilson' featuring Damanhur, Jackie Chan and The Laughing Jesus." More here, including about Bramwell's "The Cult of Water" production, which I wish I could see.